Curved sword & scabbard of chased white metal. Scabbard with three oval cartouches depicting stories & flowers inlaid with red & green glass, verso - two oval cartouches. 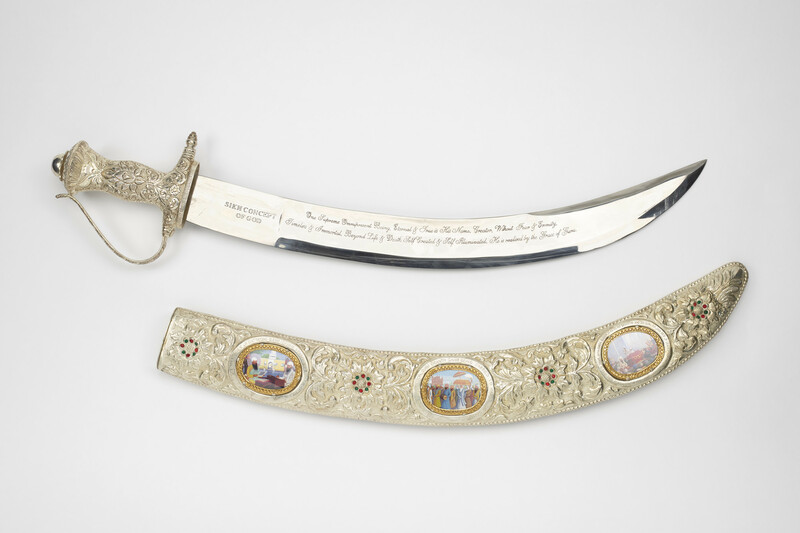 Blade of steel with inscription. Sword and scabbard sit in a maroon velvet box.